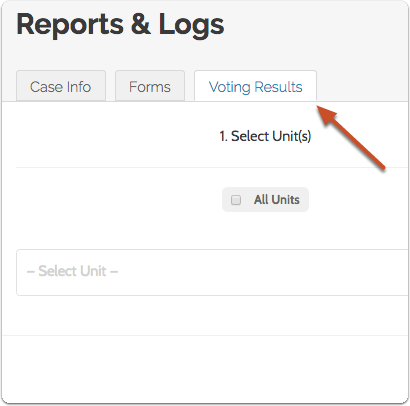 Administrators can run and save customized Case Information reports, reports on form data, and reports on voting results. 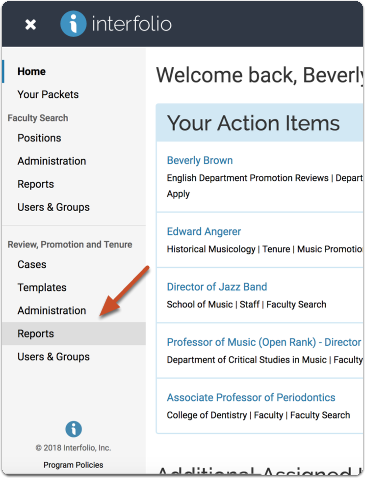 This article explains how to generate, customize, download and save reports in Interfolio Review, Promotion & Tenure. 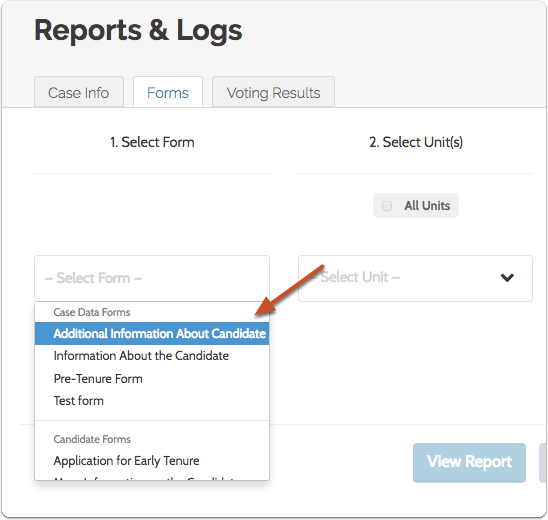 Select the type of report you want to run; "Case Information," "Forms," or "Voting Results"
The Reports screen is a tabbed interface. 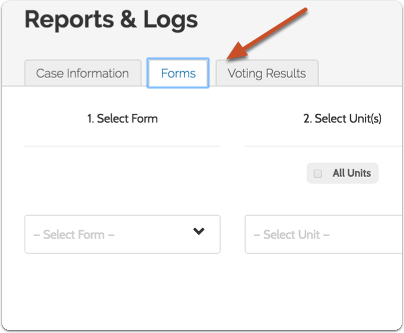 The page will appear blank until you select either the "Case Information," "Forms," or "Voting Results" tab. 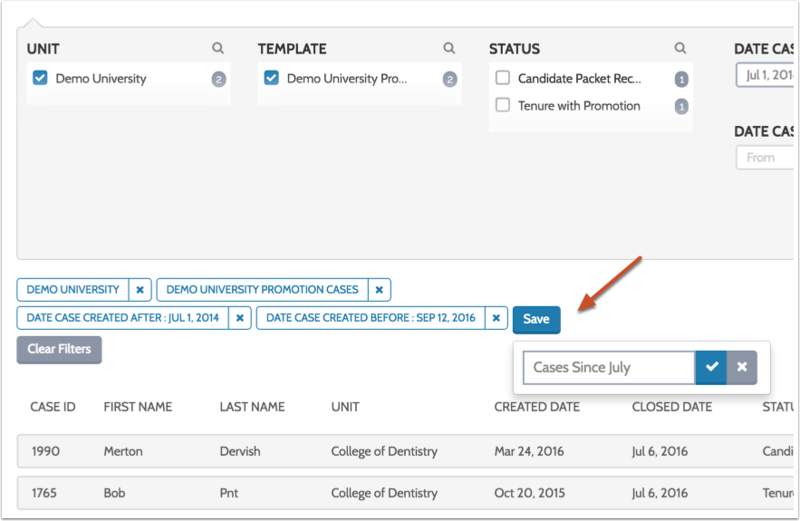 Case Information reports allow you to create customized reports to gather data on customized criteria for one or more packets (cases) within one or more units for a specified date range. 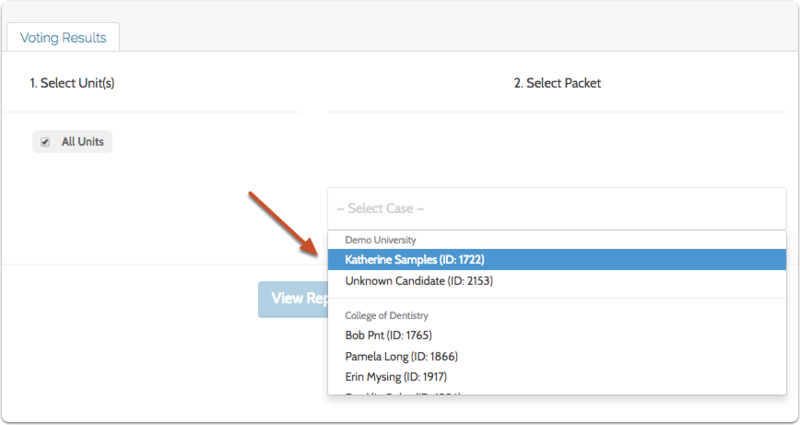 You can think of Case Information reports as a list of all the cases at your institution. 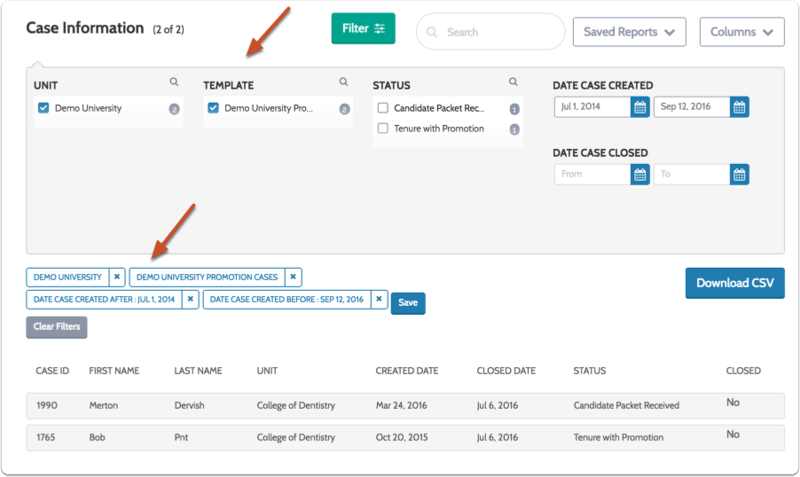 As you apply filters, the list of cases is narrowed to include only the filters you apply. As you add filters, the results will appear in the list. 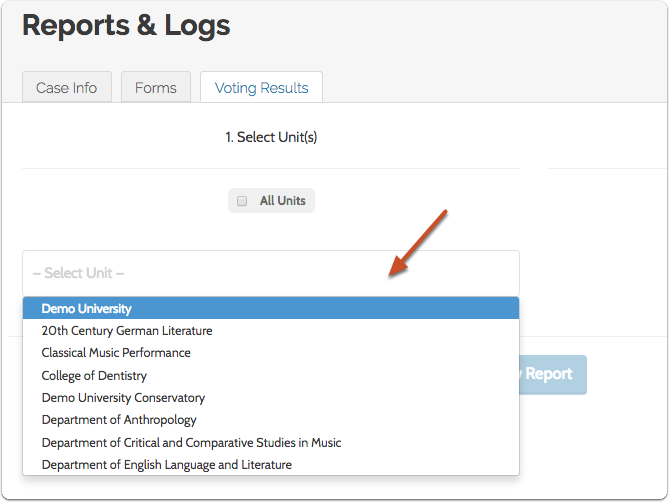 You can also choose which columns will display in your report. 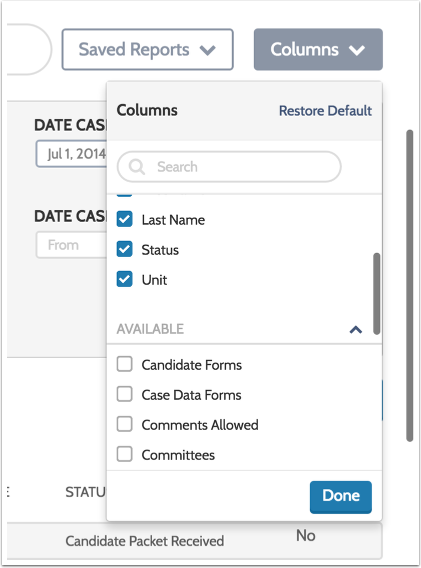 There are default columns you can uncheck, and a list of available columns you can add. Click the "Columns" button to the right of the page and select the columns you want to display. 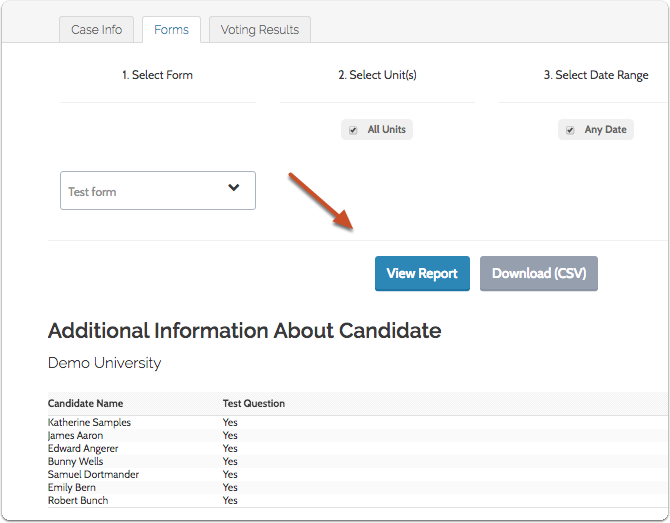 You can even add the answers to form questions as columns in the report. Click "Save" and enter a name to save a report. This will save the filters and columns of the currently displayed report so you can reload them later. Click "Saved Reports" to reload the results of a saved report. 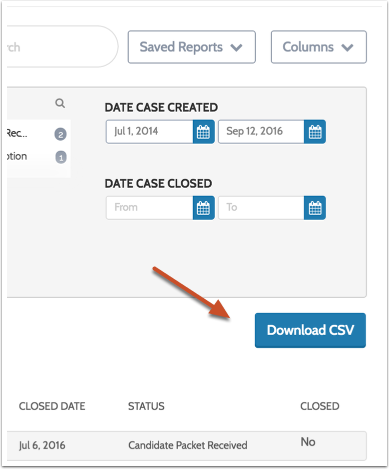 Click "Download CSV" to download the report results in a file that can be loaded into spreadsheet program. You can run a report on form responses for one or more packets in one or more units within a specified date range. 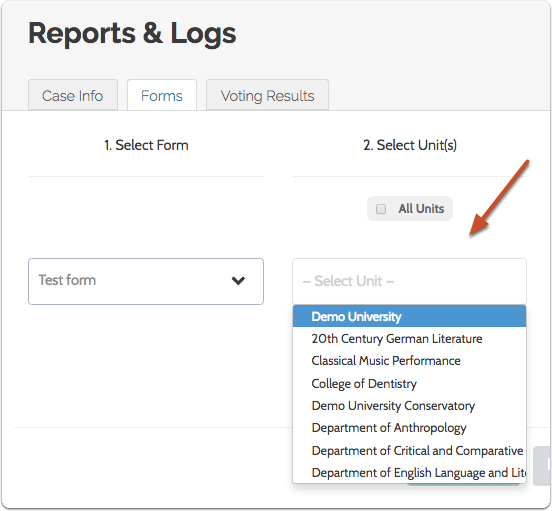 You can check the box for "All Units" or select specific unit(s) from the dropdown list. 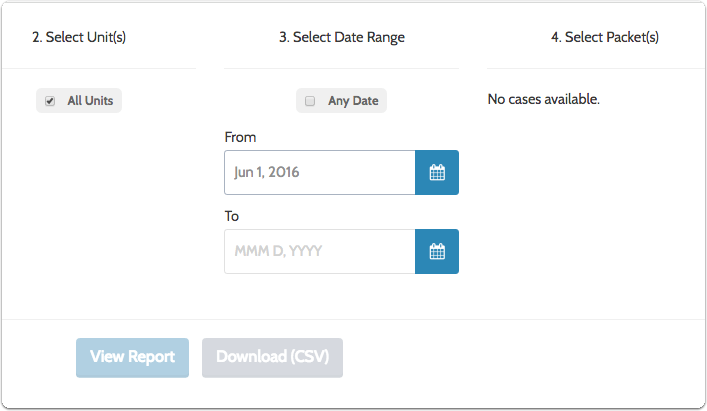 Check the box for "Any Date," or enter a specific date range on which to report. 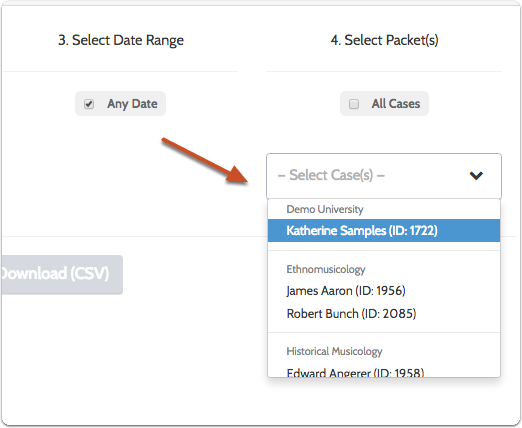 Check the box for "All Cases" or select specific cases from the dropdown list. 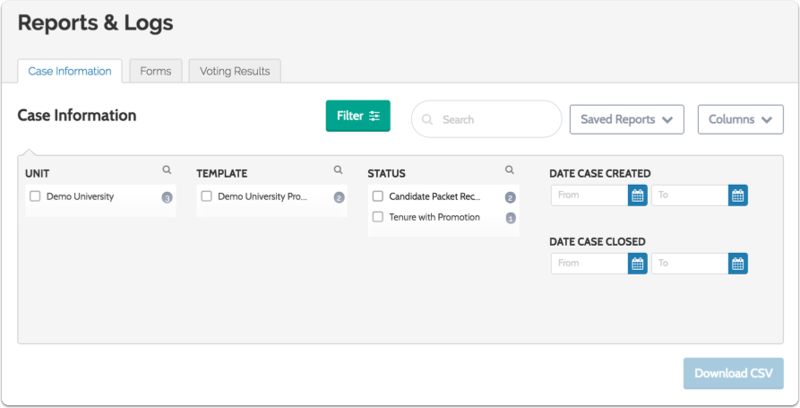 The "Voting Results" report lists the results for all committees voting on a particular case in a particular unit. 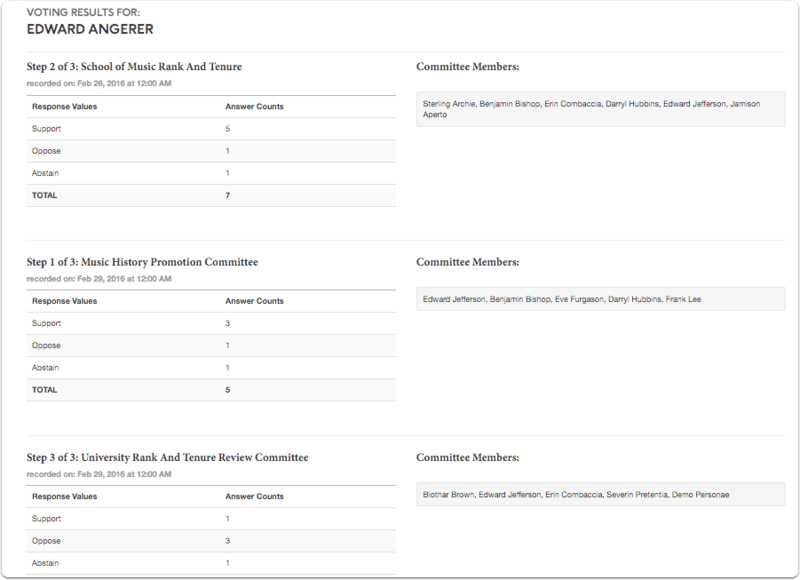 The names of voting members display, but the names of committee members are not associated with the votes they cast.